Small-business owners largely support sustainability efforts, according to a recent poll by the American Sustainable Business Council. The majority were in favor of renewable energy, expressed concern over carbon emissions and wanted disclosure of chemicals used in hydraulic fracturing. Managers of small companies also opposed new coal-fired plants and wanted reductions in coal extraction. Entrepreneurs were in favor of 20 percent of U.S. electricity being generated from renewable sources. "Small-business owners see the adverse effects climate change is already having on local economies," said Todd Larsen, corporate responsibility director of Green America. "Many business owners support a national shift to renewable energy sources that will protect American communities and our economy in the long term." The poll found small-business owners were mainly in favor of renewable energy sources because it was a way to lower operating costs. Managers of small enterprises were recognizing the connection between business prosperity and the need for environmental health. Small-business owners supported the creation of federal policies that would encourage the use of renewable energy, underscoring the long-term trend toward sustainability. 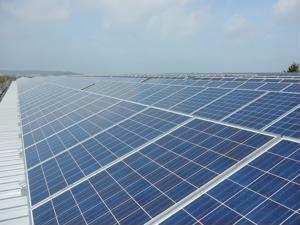 Many saw the importance of renewable energy sources for continued business suc​cess.